Feminine queers! Be part of our zine project! Feminine Voices on Sexism in the Queer Community, a zine. Call for submissions! 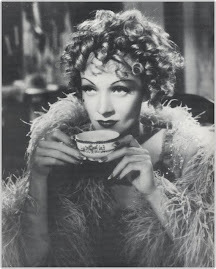 Please distribute promiscuously. Have you ever felt excluded from or experienced prejudice in the queer community because of your gender expression? The Berlin Femme Mafia is creating a zine of stories about sexism in the worldwide queer community by feminine trans* folk and queers. The Berlin Femme Mafia knows that sexism against femininities continues in the queer community and we want all our feminine-identified trans* and queer sisters to share their perspective. Why does this gender inequality still exist in a self-named 'feminist' movement? We want to hear your thoughts about and experiences of discrimination against female and feminine gender expressions. Tell us about the stuff that makes you angry or sad. This can include being excluded for the way you walk, talk, dress, and negative comments about female bodies. Tell us what you would like to see change. What would a perfect queer community look like to you? Queertopia! Contributions can be anything that will fit onto a half-size page, including creative writing, personal accounts of incidents, theory and artwork. We will print the zine in German and English, but will do our best to translate submissions in other languages into English. To be included in a zine project by the Berlin Femme Mafia and made available online and in Berlin. Call for submissions! Bitte weiterleiten. Als Beiträge könnt ihr alles schicken, was in ein DIN-A-5 Format passt, seien es fiktionale Geschichten, persönliche Erlebnisse oder, aber auch Zeichnungen, Comics oder oder oder. Es wäre gut, wenn die Texte auf Deutsch oder Englisch wären, aber wir nehmen auch andere Sprachen, mit der Erlaubnis, die Texte dann zu übersetzen. 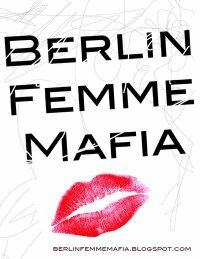 Das Ganze wird dann als Zine von der Berlin Femme Mafia sowie online veröffentlicht.